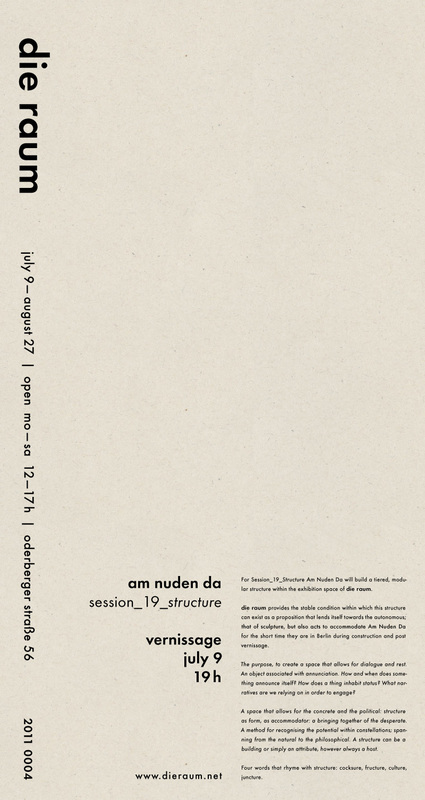 For Session_19_Structure Am Nuden Da will build a tiered, modular structure within the exhibition space of die raum. 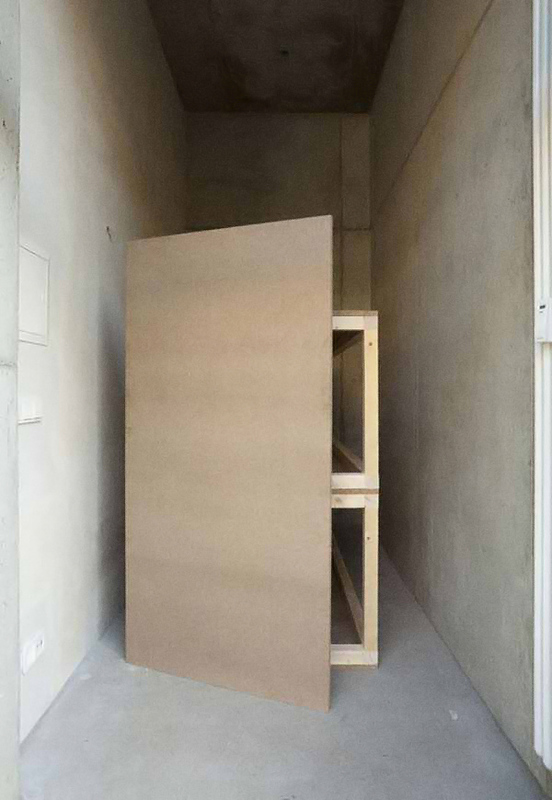 die raum provides the stable condition within which this structure can exist as a proposition that lends itself towards the autonomous; that of sculpture, but also acts to accommodate Am Nuden Da for the short time they are in Berlin during construction and post ­vernissage. The purpose, to create a space that allows for dialogue and rest. An object as­so­ciated with annunciation. How and when does something announce itself ? How does a thing inhabit status ? What narratives are we relying on in order to engage ? A space that allows for the concrete and the political: structure as form, as ac­com­mo­dator: a bringing together of the desperate. A method for recognising the potential within constellations; spanning from the natural to the phil­o­sophical. A structure can be a building or simply an attribute, however always a host. Four words that rhyme with structure: cocksure, fructure, culture, juncture.